We spent four nights in Amman in an apartment rental via Airbnb. The manager of our apartment, Sama’n, also manages many other apartments in the city which are listed on Airbnb and on Gweet which is the Middle East’s answer to Airbnb and VRBO.com. Sama’n was a wonderful host and a very helpful man to know while in Amman. It’s a sprawling city that seems to have no end. While I enjoyed the city and all of its diverse options of things to do, see, and eat, it was a test in patience every time we left the apartment. When we arrived in Amman, the first thing Katie and I did was return the rental car as I had heard nerve-racking stories of driving in this capital city. The tales proved to be true as we sat in bumper-to-bumper traffic on our ride into the city. No car meant that we either had to take the public buses (which we were told were safe, but that as ladies, we would be expected to wear headscarves if we wanted to ride without incident) or we could rely on taxis. We took the taxi option which seemed like the lesser of two frustrations (waiting for buses or trying to communicate with taxis drivers). Every time we got into a taxi, we had issues communicating where we wanted to go and how to get there. Although most buildings in Amman had addresses, they’re not used and the taxi drivers we dealt with didn’t seem to know where major sights or streets were. Every set of directions starts with which traffic circle is nearest your destination (there are seven) and you have to direct the driver onward from the circle. Giving directions from the circle was difficult as our Arabic was limited and the taxi drivers had equally limited English. Even when we would show them a map of the city with our destination clearly marked, more times than not, they would tell us that this wasn’t a map of Amman and that they couldn’t get us to our destination. Once we were out and about, getting home became the next issue. Looking back, I wonder if the buses would have been less of a hassle even with the wardrobe change before we left the apartment, the waiting around, and the adventure of finding out how to pay the fare. There is a third option for getting around town and out of town—hiring a driver for the day or for a set amount of time. We chose this option when we visited Jerash, but compared to the taxi fare (about JD1-2 per ride across town), hiring a driver was very expensive (about JD30 for a four-hour time period). Keep in mind that most of these drivers speak more English than your average taxi driver and once you find one you like (and one who knows where you live), it’s understandable why you would keep calling them time and again. We found our driver through another driver we met outside a tourist sight, but you can also try your luck at hailing a yellow cab on the street. Once we made it to our destination and shook off the frustration of the taxi ride, we really enjoyed ourselves. We visited the Citadel (JD2) and the Roman Amphitheater (JD1). We ate amazing food that, in more Western-style restaurants, cost about JD10-15 per person without alcohol. We made the obligatory and delicious visit to Hashem and our lunch only cost only JD2 per person. If you read anything about Amman, you will read about Hashem. It’s a small falafel place that is super cheap, super fast, and super tasty. 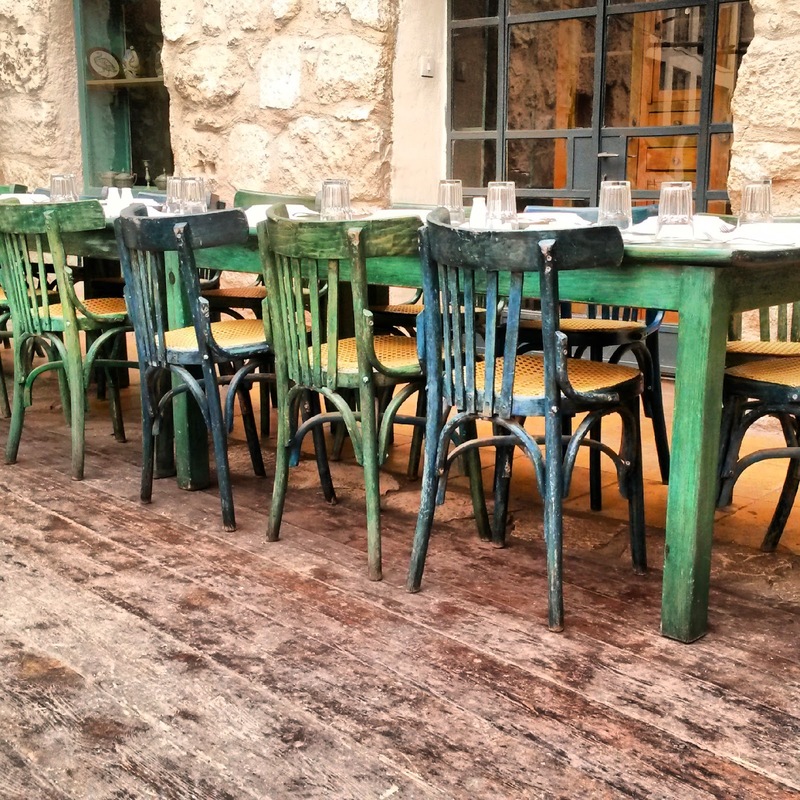 They bring each table a plate of falafel, a plate of tomatoes, onions, and mint, pita bread, and tea immediately after being seated. Hummus, ful, and falafel are available by order. There’s no printed menu, but there may be other foods available as well. Ask any local where it is and they’ll tell you. Hell, this is probably the only place taxi drivers will know when you mention it. Everywhere we went in Amman proved to be fun and interesting, but none of our outings would have been possible without a smartphone helping us every step of the way. I hope with time Amman will become more tourist friendly. On a recent trip to Jordan, my traveling mate, Katie, and I started our adventure off in Madaba. About a 30-minute drive from the Queen Alia International Airport, it’s a smaller, more manageable town than Amman. We stayed at the Mosaic City Hotel for JD47 a night for a double room. The hotel was updated and clean with a good breakfast and helpful staff. Free wifi was offered, but barely worked (you will see this recurring theme through my other blog entries about Jordan and Israel). 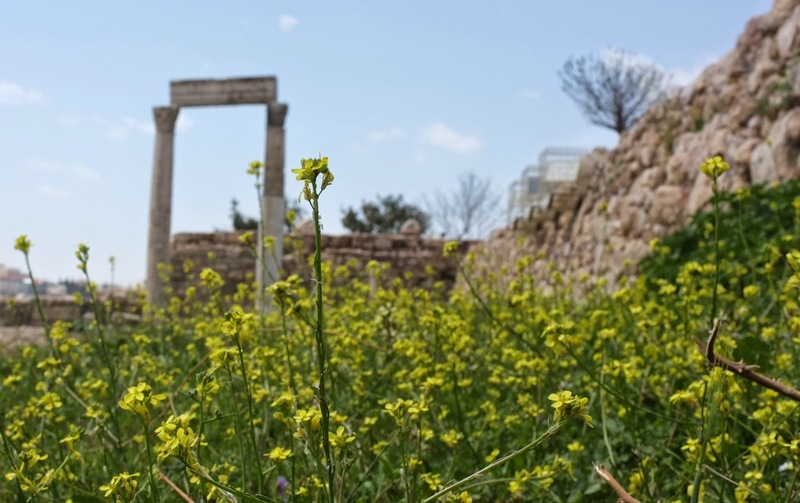 The main sights in Madaba, including the mosaic map at St. George’s Church (JD1), the Madaba Archeological Parks (JD2), and the Shrine of the Beheading of St. John the Baptist (JD1), can be seen within one day. A special note about St. John’s: I feel as though it was worth more than the JD1 entrance fee. 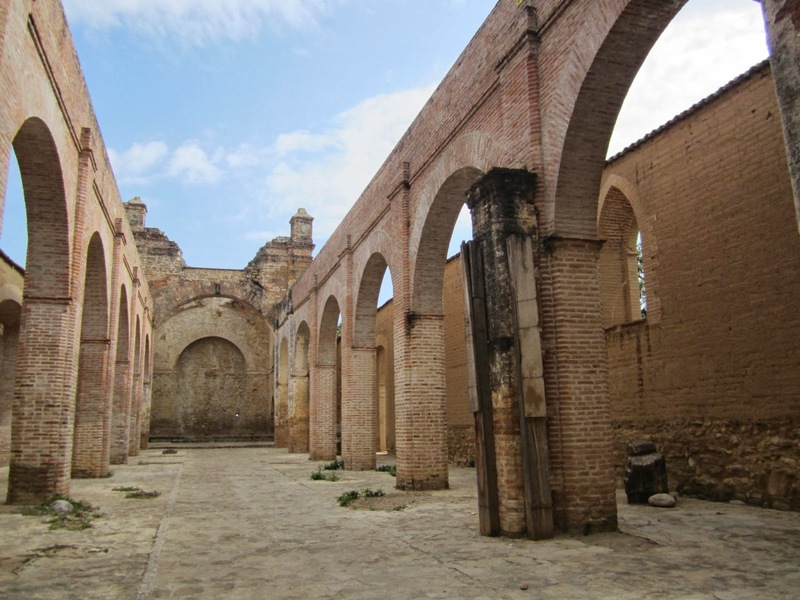 The church offers an interesting photo gallery in the visitors’ center, a bell tower climb, and a self-guided tour of the 3,000-year-old ruins under the church. Unlike at other sights we visited, the gentleman staffing St. John’s was enthusiastic about their offerings and was willing to chat and answer questions. Most sights in Madaba close around 5 p.m., so it’s best to start early in the day. We didn’t inquire about entering the mosques in town since none were advertised as sights to see. We ate at Haret Jdoudna twice in the three days we spent in Madaba. The restaurant is in an old home and also has a handicraft market. I was pleasantly surprised at its authentic and delicious local dishes after seeing that it was rated #1 on TripAdvisor (I’m usually disappointed with the restaurants that make it to the top of TripAdvisor lists). The crowd was a good mix of tourists and locals. A very filling lunch or dinner cost about JD10 per person. We also stopped in Cafe Ayola. and, while the food was good and cheap (about JD5 per meal), the food options and condiments were very Westernized (think hot dogs, barbecue sauce, and ranch dressing all on the same plate). We visited the ruins and were pleasantly surprised at how well preserved and expansive they were. We were also surprised that we were allowed to climb up most of the ruins. The cost to get in is nominal but know that outside of the ruins, everything gets pretty expensive compared to the other areas of Chiapas we visited. In the restaurants near the hotel area of town, entrees start at around $100 MXN. We stayed at the Chablis Hotel which was fine but at $60 USD a night, it was standard for the area but still more than I would have liked to spend. We ate in the gringo area a few times but also went into town across the bridge and ate at some of the small restaurants there. They were much less expensive, about $12 MXN per taco. 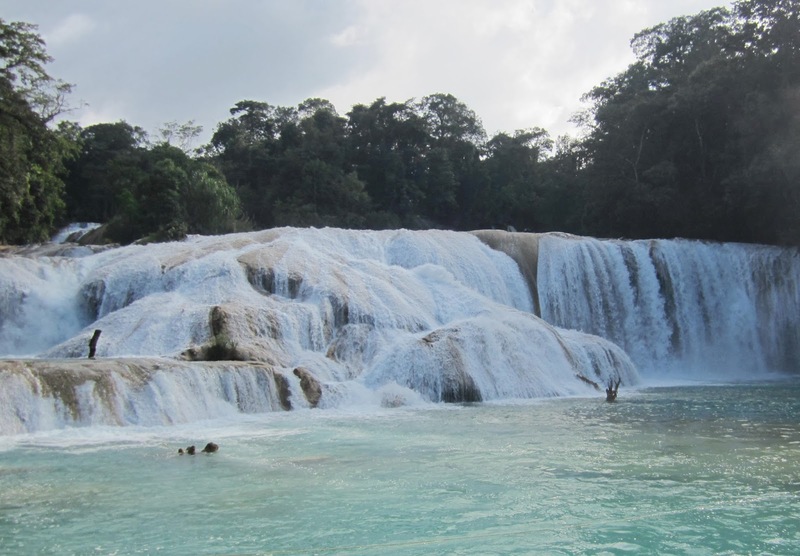 If I were to retake this trip and were on an even tighter budget, I would have taken one of the tours from San Cristobal to Palenque to see the ruins and visit Miso-Ha and Aqua Azul in one day. 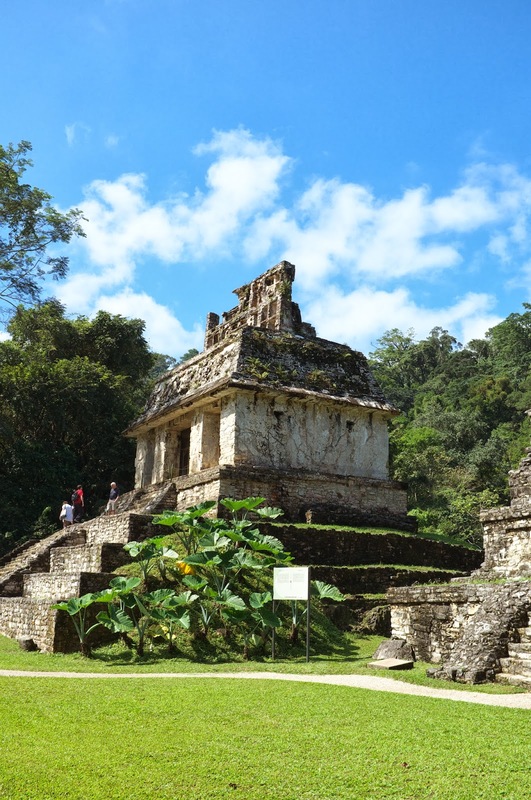 We took the bus from San Cristobal to Palenque for $112 MXN, then took a colectivo to and from the ruins for a total of $80 MXN, the two entrance fees for the ruins (one for the park, one for the ruins) for $87 MXN, a tour that took us to Misol-Ha and Aqual Azul for $150 MXN, and finally the bus ticket back to San Cristobal for $176 MXN. So all of this comes out to $605 MXN per person. 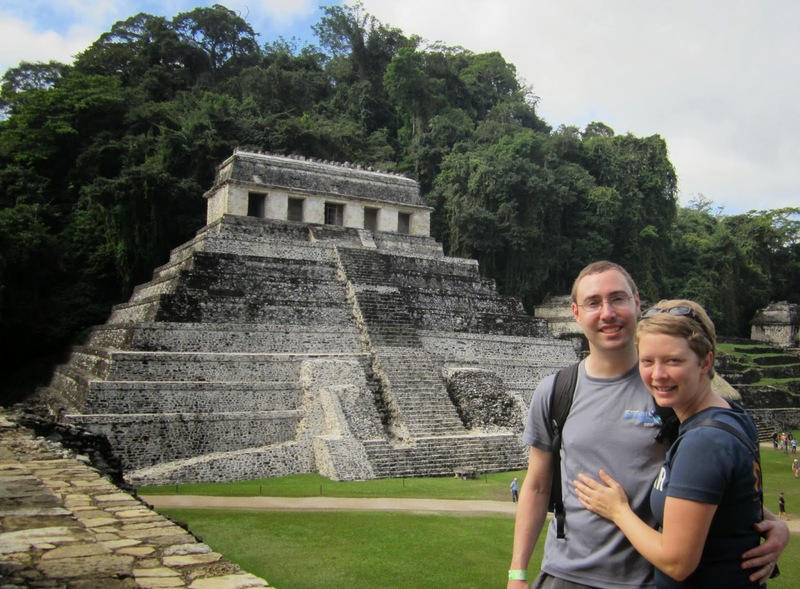 There were tours from San Cristobal that included Palenque, Miso-Ha, and Aqual Azul for $450-600 MXN. 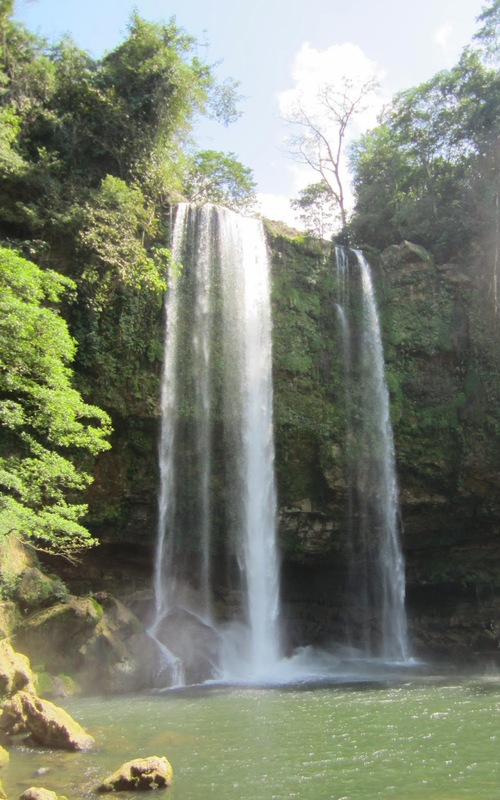 I think by staying in Palenque for three nights (so that we would have two full days to visit the ruins and the waterfalls), we actually spent more money than if we would have just crammed it all into one day. But at least we could take our time at the ruins and have time to relax. I guess that’s the trade off. We went to Chiapa de Corzo to wander around the square and to take a boat tour of Sumidero Canyon. We also took some time to go into the market and eat some delicious food. Choose any stall that is busy but know that a) most stalls only serve one kind of food (tacos, tamales, caldos, etc.) and that b) Spanish is a must. But you’ll save yourself a lot of money by eating in the market than going to the restaurants near the river. A plate of three tacos cost about $20 MXN whereas the menu del dia at the restaurants on the river cost about $65 MXN. 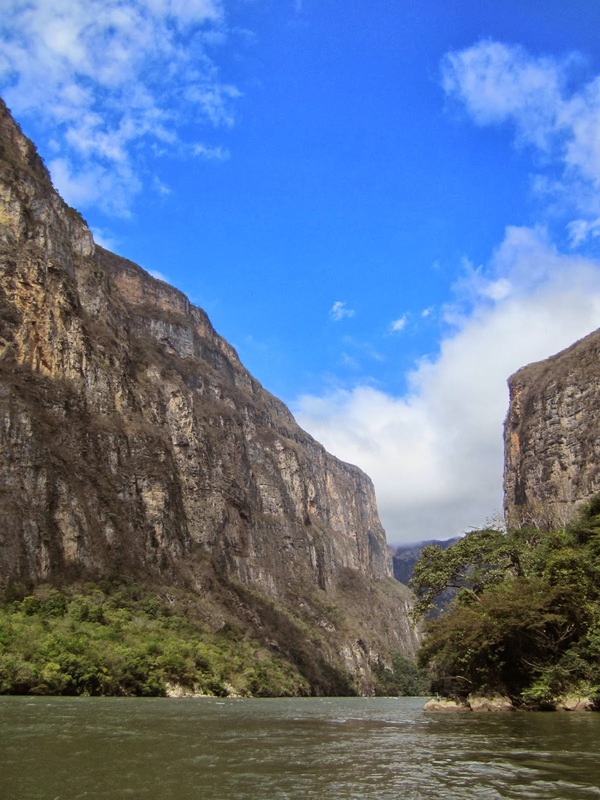 The tour of the canyon is well worth the $160 MXN and takes about two hours but know that information is only given in Spanish. It seems as though there is only one tour company that runs these tours. We found a booth on the square but you can also go directly to the river to purchase tickets. While in town, we saw a ruin of some sort up on a hill near the church (which is on another hill) overlooking Chiapa de Corzo. It’s well worth the short walk uphill for the ruin and the views of the area. To get to Chiapa de Corzo from Tuxtla, you must take an autobus to an area called Soriano (I think it’s one of the bus depots but I’m not sure). At Soriano, on the roadside, there will be colectivo drivers hollering for passengers going to different destinations that are close-by. The cost was $12 MXN each way.